Ektron’s web content management (WCM) platform simplifies the creation, management and delivery of multi-channel customer experiences for global organizations that are looking to engage with customers online. 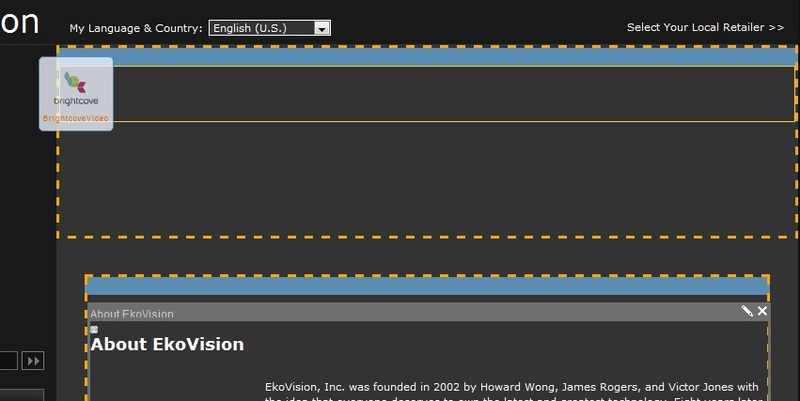 Ektron speeds time-to-web, drives business outcomes, and builds customer loyalty through software that powers corporate websites, intranet portals, and social communities. It goes beyond traditional WCM, putting the power of the entire customer lifecycle, from acquisition through conversion and retention, in the hands of your marketing and web teams so that customers continuously receive relevant, fresh content that matters to them. Headquartered in Nashua, New Hampshire, with offices in Australia, Canada and the United Kingdom, Ektron has more than 8,000 customers worldwide including: The Home Depot, Kodak, Microsoft, NASDAQ and National Health Services UK. Use Ektron Web Content Management to automate the entire web publishing lifecycle from creation through dynamic delivery, reducing costs and speeding time to Web. Create, execute, test, and analyze personalized Marketing campaigns to generate maximum conversion, leads, and revenue with the Ektron Marketing Optimization Suite. Use Ektron eMobile Tools to deliver the right mobile experience to visitors on any mobile device. Craft personalized mobile experiences based on visitor attributes such as device type and location. Improve employee productivity with the Ektron eIntranet, an Intranet that combines information delivery, knowledge management, and social collaboration. Use Ektron Social Business Software to promote customer interaction, engagement, and brand awareness through vibrant online communities and social networks. 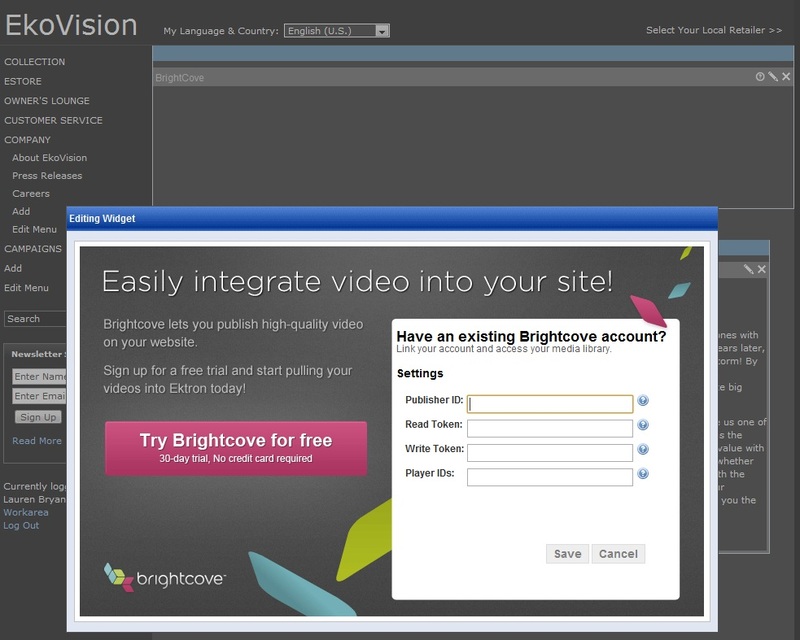 Ektron and Brightcove have partnered to bring video to websites, marketing campaigns, social communities, and intranets. 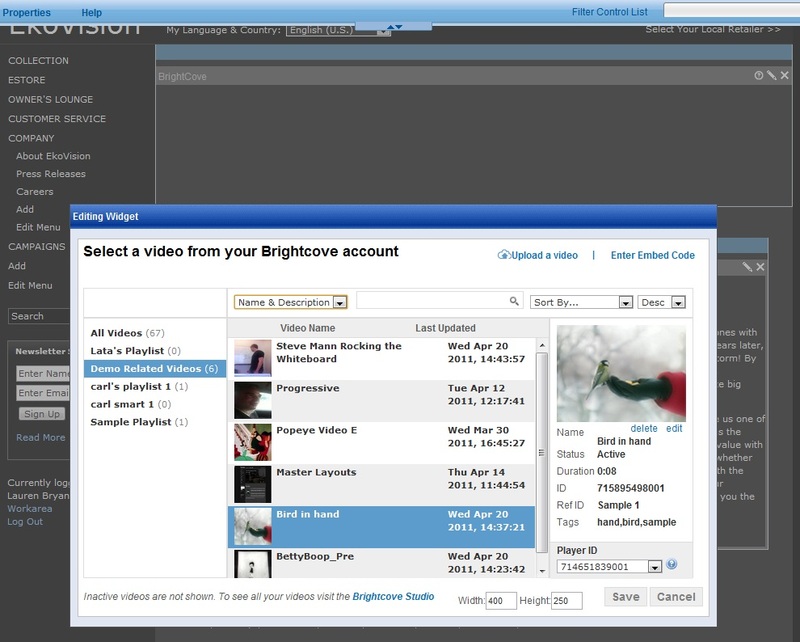 Ektron customers can easily publish video to the Brightcove Video Platform, taking full advantage of automated encoding, players+styling, HTML 5 video, mobile video delivery, analytics, and more.